Moderated by local environmental writer/advocate, Jim Hackler, the panel included representatives from 3 local B-Corporations: Freeworld Media, ifPeople, and Better World Books. These are incredible organizations that are showing what is possible when businesses think beyond shareholders and truly consider stakeholders. This is a model for the future of sustainable business. These businesses take into account more than just short-term profits. They consider the needs of internal staff, the greater community, and the environment when making business decisions. Sounds blue sky at first, until you really think about the benefits of having happy employees, a happy community, and a productive and functioning environment in which to do business. I was just reading an excellent article yesterday in Harvard Business Review on Creating Shared Value (hat tip to Jeff Duvall on that one), and while I will not attempt to recap this very in-depth piece here, I will just say that the model of looking beyond pure short-term profits, but instead looking at creating value for all stakeholders holds a great deal of promise. I emphasize short term because this thinking is one of the fundamental reasons that positive changes get blocked by many entities that are beholden to their shareholders via quarterly financial reports. 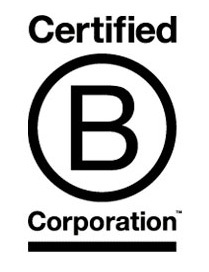 So, why would a business choose to become a B-Corporation? Sean Wood, a friend of mine and all around nice guy from Freeworld Media remarked that ‘Being a B-Corp is about doing what matters. We believe this matters.’ I couldn’t have said it better myself. John Ujda from Better World Books had my favorite tagline I’ve heard in a long time: ‘We are an online bookstore with a soul.’ Wow – I just love that! Short, to the point, and very memorable. Check them out if you are looking for books – the model they have built based on recycling books and using profits to fun global literacy is amazing. Christopher Johnson from ifPeople talked about the benefits of being a B-Corp, including discounts on products and services within the B-Corp network. He also encouraged people in attendance to learn more about becoming a B-Corp so that the visibility of the network will continue to expand. I suspect I’m not the only one that was there that is now looking into this model. Several in the audience asked a plethora of questions, and it was clear that there was significant interest. I talk about working with organizations that are trying to make a positive difference on the planet – this is what I’m talking about. The businesses in the B-Corp network are proving that you don’t have to sacrifice your soul, your environment, and human resources to make a profit. This model will continue to grow, and I envision a future where people will make choices on which companies to work for, which brands to buy from, which services to contract, etc. based on their willingness to operate from a new perspective – one that takes into account the needs of all stakeholders, not just the people receiving the annual report. What do you think? Is this a model that can scale?